Bodegas hold a special place in the hearts of New Yorkers. They’re small, mom-and-pop stores that typically sell egg-and-cheese sandwiches before dawn, coffee after dark, and comfort foods from the owners’ homelands throughout the day. They’re also urban oases, offering safety when situations on the street get dangerous or simply a neighborly helping hand. 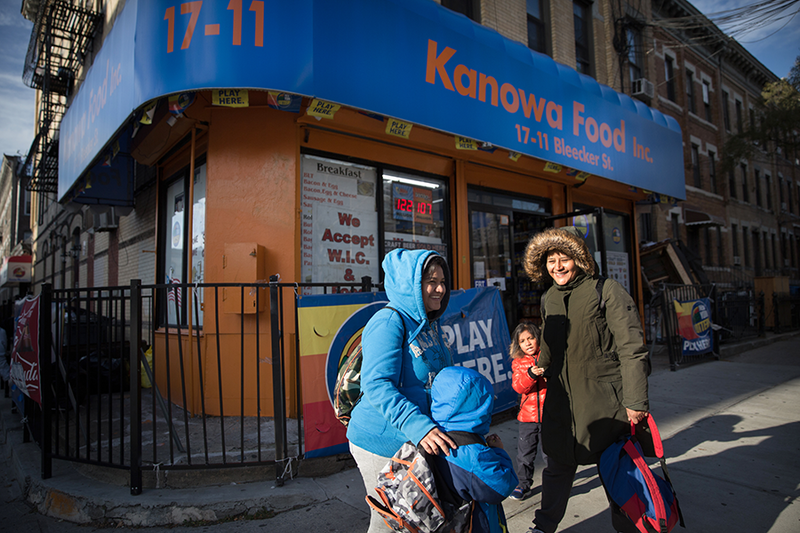 “The thing about a bodega is that once you become familiar with the customers, you’re part of the family,” said Emigdio Moronta, the owner of a 1,000-square-foot Kanowa Food store in the Ridgewood neighborhood of Queens. As humble places of welcome for all, bodegas are becoming paragons of Advent -- at least in Ridgewood and neighboring Bushwick, in Brooklyn. Two Episcopal congregations that share a building -- Bushwick Abbey, a five-year-old worshipping community, and its host church, Iglesia de la Santa Cruz -- are teaming up to make it happen. They’re using the season to honor bodega hospitality through a combination of art, technology and public liturgy in an initiative called the Bodega Advent Project. The project debuted in 2017 and will return for a second year this December. The Bodega Advent Project brings the liturgical season of Advent into the streets by drawing on the familiar model of the Advent calendar. In traditional form, a physical Advent calendar delivers a new surprise each day (a theme image or small candy) and keeps anticipation high through Christmas Eve. Are there institutions in your neighborhood --besides the church -- that symbolize Christian virtues? In the Bodega Advent Project, one work of original art goes up in a bodega each day until 24 images are displayed in 24 bodega windows. The liturgical season this year begins Dec. 2, but the artwork will start going up Dec. 1, as is traditional for Advent calendars. What passers-by see in each participating bodega’s window, if they pause to look, is a 9- by 9-inch piece of art. Last year, styles ranged from acrylic and oil paintings to pencil sketch, collage, relief sculpture, knit textile and lithograph. Nearby was a brief reference to the Bodega Advent Project and information for finding its online presence at Instagram, Facebook and a website. With bodega installations spread out over two neighborhoods encompassing 4 square miles, the idea is not for people to visit each one on the day the art goes up. Instead, the daily surprise comes online at Instagram, where images of participating bodegas progressively fill an electronic Advent calendar. Those following check back regularly and swipe each newly revealed bodega’s image to see photos of the artwork displayed in its window. In the inaugural year, 250 people followed the project on Instagram. An accompanying Google map showed where installations had gone up, in case locals wanted to, say, catch up over the weekend with a pilgrimage to view the art in person. Through this project, the two congregations -- one largely white and English-speaking, the other Spanish-speaking and rooted in the established Hispanic community -- have sought to honor and connect with existing neighborhood institutions and the people who own them, people who are in many cases first-generation immigrants. The project inverts (or subverts) the notion that church is where hospitality is showcased and learned. The message here, as noted in the artist guidelines, is that bodegas “are vital centers for creating the beloved community we envision.” May the church learn from them and do likewise. The Bodega Advent Project began as a way to honor the virtues that bodegas represent by bringing liturgy -- and, by extension, the church’s imprimatur -- to bear. Anderson had conceived of it a year earlier on a beach in Brighton, England, when he saw what seemed to be the most unlikely yet authentic of Advent displays -- in beach huts. British beach huts are small, colorful wooden structures, built above the high-tide mark, that are used for shelter and storage during the summer. Where do your ideas come from? When are you open to innovation in your ministry? The Brighton beach huts were shuttered for the winter but came to life, a new one each day -- just like an Advent calendar -- by offering cookies or live music or hot drinks. Sponsored by an artistic outreach group closely affiliated with a local church, the Beach Hut Advent Calendar, first held in 2008, has become a much-loved annual community event. Anderson resolved to somehow bring the concept of honoring the Christian or Advent virtues embedded in an unsung fixture to the Brooklyn landscape. He conceived of bodegas as the New York equivalent of the Brighton beach huts: colorful, hospitable, underappreciated. That first year, the project expanded beyond the daily installations to include public liturgy. On Dec. 12, members of the congregation joined bodega owners to mark the Day of the Virgin of Guadalupe, a popular Catholic feast day in Mexico. Closer to Christmas, a group from the two congregations processed together one Sunday after worship to sing outside four bodegas in an adaptation of Las Posadas, a walking drama popular in Mexico that showcases Mary and Joseph’s struggle to find shelter. Then on Christmas Eve, a group of about 40 (including many first-time visitors) set out from the church together to tour a series of bodega art installations in a modest act of pilgrimage before returning for Christmas Eve worship. Though some might criticize even subtle public displays of Christian faith as intrusive, the spiritual framework didn’t appear to be a stumbling block for bodega owners, according to project organizers. Moronta, who is Roman Catholic, said he appreciates how the art in bodega windows can bring people together for the holidays in a city where people barely bother to pause. How could you be open to unexpected opportunities, such as the interfaith dialogue this project fostered, when they occur? Yemeni Muslims who own bodegas in Brooklyn and Queens weren’t opposed either, Anderson said, when he explained the concept of displaying art with Advent themes and waiting with anticipation for Jesus to come. 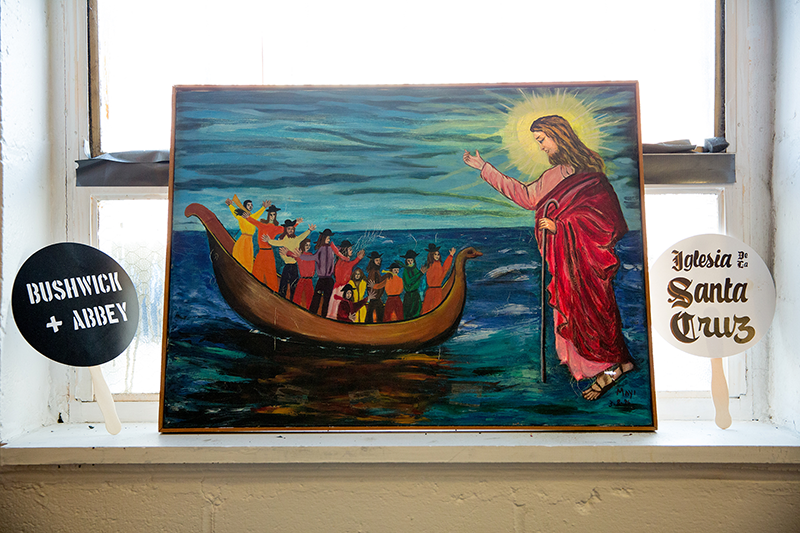 The project’s use of art, bridge building and awareness raising made it a natural fit for Bushwick Abbey, a mission church established in 2013 by the Episcopal Diocese of Long Island, according to the Rev. Nell Archer, the vicar of both congregations. Iglesia de la Santa Cruz was already established in the neighborhood, but the diocese wanted an English-speaking ministry to reach the surging influx of millennials drawn to the culture and relative affordability of the area. By meeting initially in a bar, Bushwick Abbey signaled that it wasn’t stuffy or removed from the rest of society’s sinners, Archer said. Bushwick Abbey is now housed at Iglesia de la Santa Cruz and works to stay in touch with the neighborhood. For example, with financial backing from the diocese, the church organized a series of dinners so people could get to know refugees living in the area. The idea of the Bodega Advent Project meshed with the congregation’s asset-based approach to community development, which focuses on what the neighborhood already has rather than its deficits. What ministry would combine your neighborhood's assets and the unique gifts of your congregation? Recruiting the artists to participate was easy. 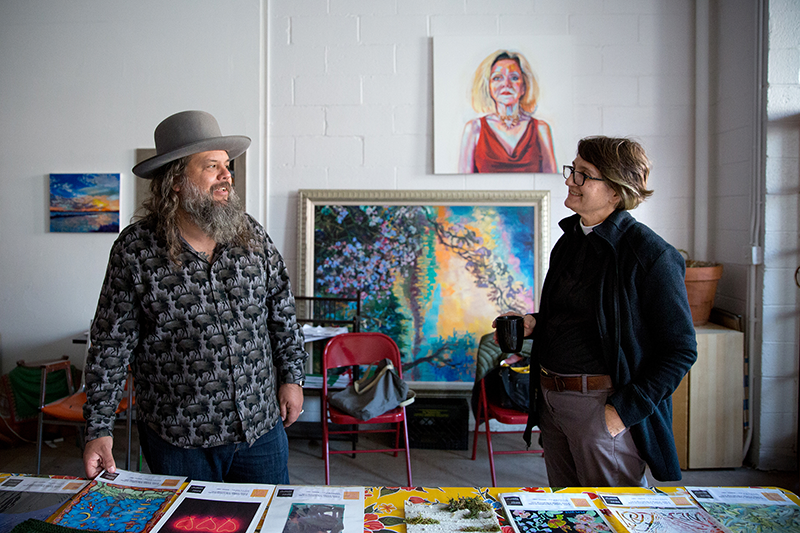 Being a congregation with an artistic bent, Bushwick Abbey had no trouble mobilizing homegrown talent and contacts in the local artist community to take part in the project. Parishioner and artist Julianna Santamaria, who immigrated to the U.S. from Colombia five years ago, found that artists were eager to explore the idea of the bodega as an art showplace. The bodega venue was more broadly accessible, she noted, than galleries that commonly cater to the well-to-do. Her piece was displayed at a bodega that specializes in baked goods from her native Colombia. Each bodega featured a work by a different artist. Bodega owners were engaged in the process, Anderson said, often wanting to choose which art would be displayed in their windows. He said he was struck by how much care they invested in choosing the right artistic fit and cleaning the window space before hanging the piece. The artists in most cases visited the bodegas featuring their work and got to know the owners. Nothing was required in terms of interaction, but relationships grew out of a shared stake. One artist ended up selling the window-displayed piece and sharing the proceeds with the bodega owner, although that wasn’t the goal at the outset. 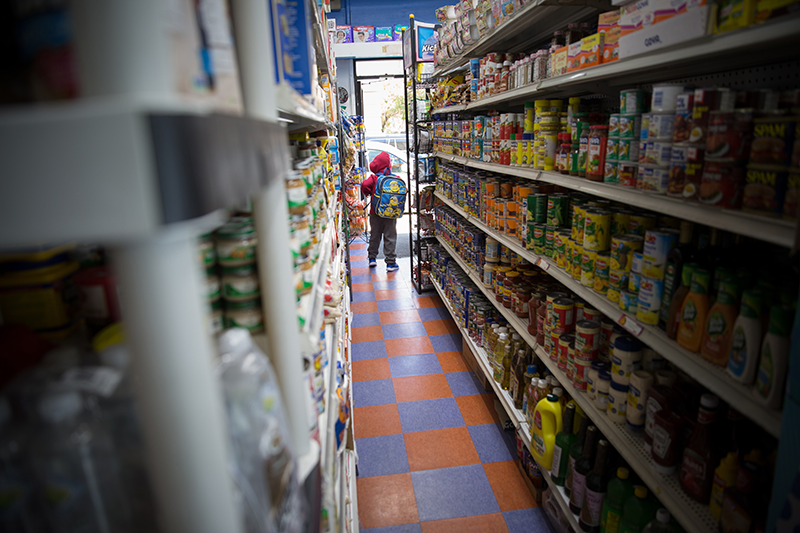 Bushwick Abbey set out to connect communities (artists, immigrants, bodega operators) and raise public awareness of what bodegas mean to the social landscape. But the congregation found its own awareness raised as well. Anderson, who doesn’t speak Spanish, went door to door with a letter that explained the project in Spanish, waiting as the bodega owners read it. Some agreed when they learned that the art would be small (9 inches square), but more than a few insisted that they wanted nothing to do with it. At first, Anderson was puzzled, asking himself, “Who doesn’t want art?” But soon he learned of bodega owners’ fear of the rapidly spreading gentrification around Bushwick, with high-end shops that might easily displace their own. They’re leery of a pattern that already feels too close to home; where the artists settle in the city, higher rents are soon to follow. How might you initiate a deeper conversation with your neighbors? In meeting with dozens of bodega owners, Anderson also learned how precarious the economic foundations are beneath these icons of New York neighborhoods. Bodegas once were viewed as a great perk to offer a building’s occupants. But now, in an age of online ordering and easy deliveries, that’s not always true. If community support erodes, they’re apt to disappear and be replaced by stores that don’t function as neighborhood sanctuaries the way bodegas do. In this way, a valuable institution on the social landscape could disappear, he said. Members of the congregation resolved to do more shopping locally to support the stores. The project yielded some unexpected benefits as well. 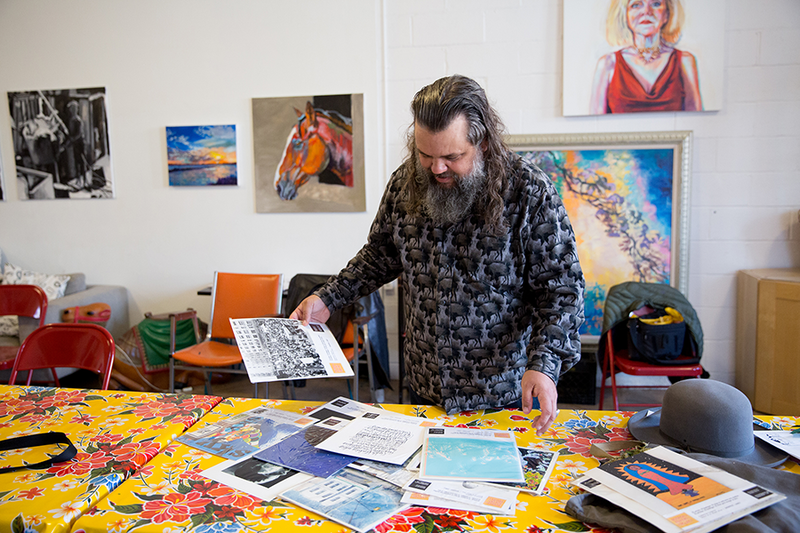 Artists felt empowered to help raise the stature of modest neighborhood institutions by displaying their work there, according to Bushwick Abbey artist-in-residence Seth Ruggles Hiler. 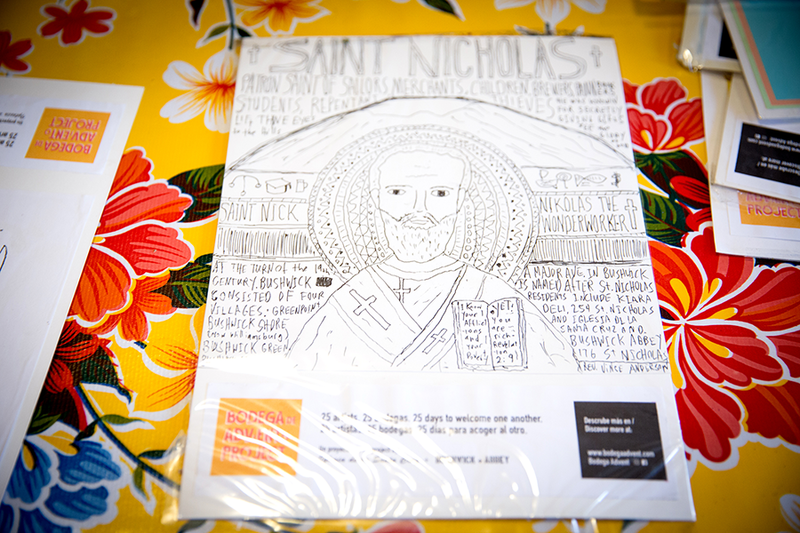 The project stoked his imagination, he said, for what’s possible when artists draw on liturgical forms in a public venue, and for the impact that can have. Among his takeaways was how bodega owners felt honored in a way that they previously had not. For bodega owner Moronta, the project helped him build relationships in the community. Having been in business in the area for only about a year, he was still trying to win the neighborhood’s trust. Taking part in a church-organized, neighborhood activity with no commercial purpose helped him establish ties and communicate how he’s in it for something greater than financial reward, he said. The organizers of the bodega project see bodegas as places of welcome and therefore paragons of the season of Advent. Are there institutions in your neighborhood -- besides the church -- that symbolize Christian virtues? The idea for the project came from an unlikely time and place. Where do your ideas come from? When are you open to innovation in your ministry? By definition, you can't plan unexpected opportunities such as the interfaith dialogue this project engendered. But how could you be open to them when they do occur? Bushwick Abbey organizers learned a lot about their neighbors by talking to them about this project. How might you initiate a deeper conversation with your neighbors?